If you are responsible for a young child, you should be familiar with car seat safety laws. 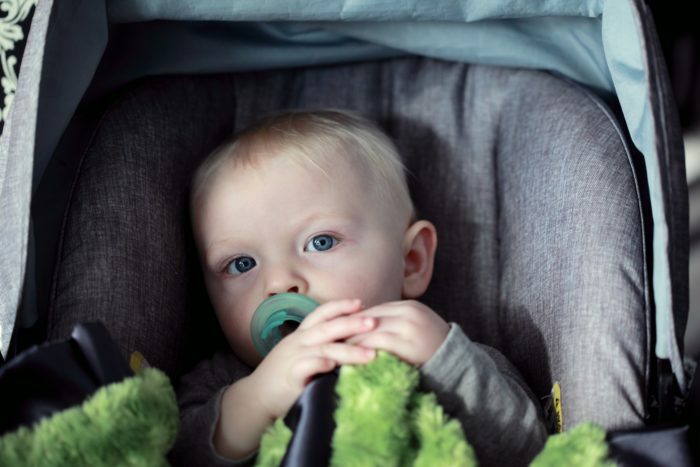 Any adult charged with the care of a child has a duty to use a properly installed car safety seat that is appropriate for the age, height, and weight of the child. If there a child is injured due to lack of a car safety seat or one that was not used properly, you should call a car seat safety lawyer to discuss your rights. Exception: A child more than four feet nine inches tall or more than 100 pounds is allowed to use a seat belt that has both a lap belt and a shoulder harness. To use the seat belt, the child must be able to sit straight up against the vehicle’s seat back with his or her knees bent comfortably over the edge of the seat. The lap belt should be placed low and tight across the upper thighs; the shoulder belt should rest tightly but comfortably across the child’s chest and shoulder (collarbone) without touching the throat. If the seat belt does not fit properly, the child should use a booster seat with a lap and shoulder belt. The driver MUST make sure that each passenger under age 16 obeys the law. The driver can be fined $25 to $100 and receive three driver license penalty points for each violation. Additionally, safety seats and child restraint systems must be certified according to Federal Motor Vehicles Safety Standard 213. Studies have shown that MOST parents do not correctly install their child’s seats! That’s why it’s important to understand what the different types of seats are and how they are installed. Child restraint seats can be installed either with the vehicle’s seat belt or with a LATCH (lower anchor and tether for children) system. Many parents find the LATCH system easier to use, but it is equally safe to use the seatbelts. When a child is injured because their seat was no properly installed, you should call a car seat safety attorney. Using the LATCH system: To use a LATCH system, you must have both a seat and a car that is equipt with the system. Most car made after 2002 include LATCH systems. Vehicles with a LATCH system, will have lower anchors where the seat cushions meet in the back seat and tether anchors located either behind the seat, ceiling or floor. See your vehicle’s manual or contact its manufacturer is you are having trouble locating the anchor and tether. Using the SEATBELT system: To safely install your seat using the car’s seatbelts, you must be certain that the seat belt “locks” to keep the seat secure. Refer to your vehicle’s manual or contact the manufacturer if you are not absolutely sure the seatbelt has “locked” to secure the seat. The MIDDLE of the back seat is safest: Children under 13 are always safest riding in the back seat, preferably in the middle seat. That said, some car seats and boosters do not fit properly in the middle seat or do not have anchors in the middle. It is more important for the seat to be fitted correctly than for the child to be in the middle. A NYC car seat safety lawyer can also provide advice. Infants and toddlers should ride in a rear-facing seat until they are at least 2 years old or reach the highest weight or height recommended by the seat manufacturer. The American Association of Pediatricians recommends that all infants ride in a rear-facing seat, starting with their ride home from the hospital. In fact, most hospitals in New York City will not let you ride home with your newborn without observing that a rear-facing seat has been installed! Rear-facing only seats are suitable for infants up to 40 pounds with an appropriate model. They usually have carrying handles and come with a base that remains in the car, with the seat clicking out of the base. This is practical both because you can remove a sleeping child from the car without waking them, and also because you do not install the seat every time you use it. You can even buy extra bases to install in additional vehicles, and bases that can turn the seat into a type of “stroller.” It should be noted that manufacturers do not recommend allowing children to sleep or eat in this seats outside the vehicles, especially if they are not attended. Convertible Seats (used rear-facing) can be converted to forward facing when the child outgrows the need for rear-facing. The advantage is that the seat can be used to for a longer time. However, they are much larger than rear-facing only seats, and they are not equipt with carrying handles and bases that remain in the vehicle. The advantage for larger children is that they can sometimes be used rear-facing until a child is 50 pounds or more. They have a 5 point harness that attaches at the between the child’s legs, and also at their shoulders and hips, providing better restraint for a larger child. 3-in-1 seats (used rear facing) can be used as rear-facing and forward-facing seats. They can also later be converted into a belt-positioning booster seat. They lack the convenience of carrying handles and a base that can remain in the car, but they can accommodate heavier and taller children. Make sure the harnesses are at or below your child’s shoulders, ensure that the harnesses are snug (you should not be able to fit your finger,) and that the chest clip is in the center and even with the baby’s armpits. Make sure the seat is snuggly secured with seatbelts or LATCH. NEVER install a rear-facing seat in the front seat of a car, especially if there are airbags employed – if the airbags were to deploy, it could cause serious injury or death. Make sure that the seat is at the correct angle so that the baby’s head cannot flop forward. This is not something to worry about. Injuries to feet for babies in rear-facing seats are rare as their legs are extremely flexible. It’s OK to place a tightly rolled blanket on both sides of your infant or in the crotch strap to address this concern. Do not place anything behind or under your child as this will undermine the effectiveness of the seat. Bulky clothing can impede the effectiveness of the seat in a crash. Bulky clothing can also cause a child to overheat and will require removing the harnesses to cool the child down. Much better to place a tucked in blanket over the harness straps. 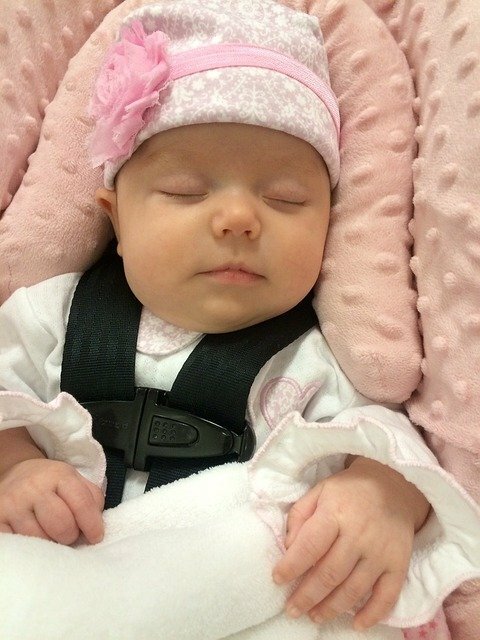 Some preemies are too small to ride safely in an infant seat in a semi-reclined position. These babies will need to ride in a special car bed that meets the Federal Motor Vehicle Safety Standards. Ask your hosptial before you leave with your baby. 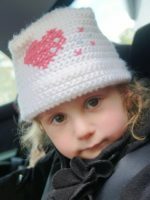 I’m not sure if my child’s injuries were caused by a car seat? Call a NYC car seat safety lawyer to discuss how the accident happened. Convertible seats: Convert from rear-facing to forward-facing, including 3-in-1 seats. Combination seats with harness: Seats that can be used forward-facing for children weighing up to 90 pounds or without the harness as a booster for children weighing up to 120 pounds. Built-in seats: Some vehicles come equipt with built in forward-facing child seats which should not be used until a child is two years old. Travel vests: These vests can be used by children up to 168 pounds as an alternative to forward-facing seats. They are a solution for cars that have only lap belts in the back seat or for children with some types of special needs. When children have exceeded the height and weight limits for forward-facing seats, they should use a belt-positioning booster seat until seat belts fit properly. This is usually not until they are at least 4’9″ tall and over 8 years old. Maturity is also a consideration. Seatbelts are designed to be easy to remove and immature children make a game of taking them off while you are driving. Remember, children under the age of 13 should be riding in the back seat. High-back and Backless: Both types do not come with a harness and employ the use of the seatbelts. They are simply designed to raise the child to a height where the seatbelts are effective. 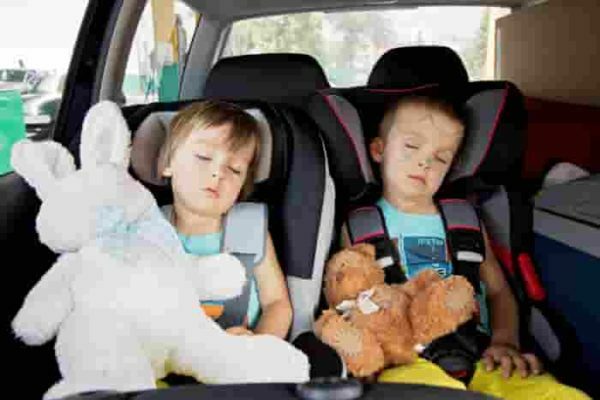 More expensive high-back booster seats are available which some parents believe are safer than the backless seats, but the studies do not support this theory. 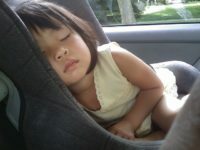 When the seatbelt fits correctly, it can be used by an older child. The child is tall enough to sit back all the way against the vehicle seat with their legs bent over the edge of the seat, and can stay in that position for the entire ride. 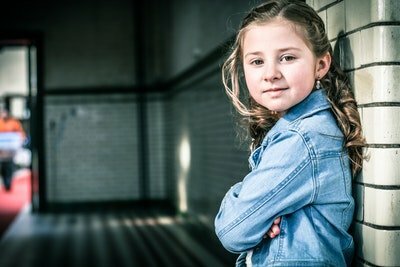 Check to make sure that your child NEVER tucks the shoulder belt under their arms or behind their backs. This not only fails to protect you child in a crash, but could cause injury with even a small short stop. There’s no such things as “the best” seat, just make sure the seat is the right one for your child’s size and that it is installed correctly. The most expensive seat is not always the best one for your child. Avoid used seats unless you know their history. Make sure that whoever takes your child in a car, uses the correct seat. Don’t be afraid to inquire! Death from heatstroke can happen in minutes. Stangulation by powered windows, seatbelts, power sunroofs or other parts of a vehicle. Child could accidentally place car in gear and/or step on gas pedal. Be run over when the car backs up. Child could be trapped in the trunk.